At CandleLand.com, we understand how important it is that your packages arrive promptly. Below, you will find answers to common questions about our shipping policies and rates. Shipping and handling charges are calculated as you Check Out of the store, based on your location and the shipping method you choose. CandleLand.com offers the following shipping options, the options available to you at checkout depend on your location, not all options are available to every location. In addition, Candleland.com reserves the right to ship using alternate equivalent shippers when necessary. The goal is to get your products to you as soon as possible. NOTE: Candle Holders are shipped by Fedex ground or second day, equivalent to the UPS method you choose. 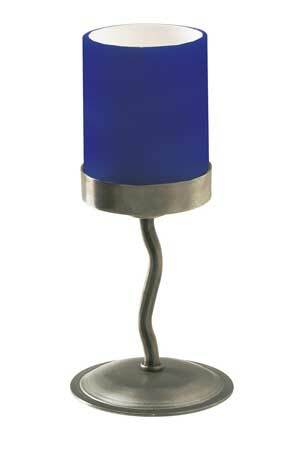 If you order includes both Candle Holders and other products, they will be shipped seperately. Does CandleLand.com ship to international destinations? Currently CandleLand.com can ship to addresses in the United States, US Territories, Canada, and APO/FPO addresses served by UPS. What if I have a PO Boxes or APO/FPO address? Candleland.com only ships to your physical street address and not to PO Boxes or APO/FPO addresses. CandleLand.com processes orders received before 9:00 am (CST) the same business day. Orders received after 9:00 am (CST) are processed the next business day and shipped based on the shipping method you selected. Please note while we will make every effort to get your packages to you by your desired date, CandleLand.com cannot guarantee the timely arrival of your package. To reduce the possibility of the late arrival of a shipment, shop early! OUR GUARANTEE: "CandleLand.com unconditionally guarantees all merchandise. If you are not completely satisfied with your purchase, return it to us in unused condition within 30 days for a prompt refund." We will send you a Return Merchandise Authorization number by email, so be sure and include a working email address. Repack your items carefully and write the RA number on the outside of the package and on a copy of the packing slip which was included with your shipment. Your credit card will be credited promptly upon receipt of the goods.